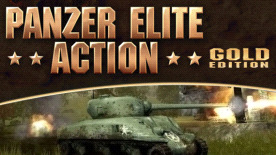 Contains both Panzer Elite Action - Fields of Glory AND Dunes Of War expansion! BATTLE FIELD EUROPE Experience the Blitz as a Prussian officer, defend your country as a Russian Tank Commander, or march right through Berlin as an Allied Commander - three dynamic campaigns await you! HEROES IN AFRICA Even though he cannot match the Allies' sheer material power, Rommel's clever tricks and ruses keep them on the move. Fight on his side in the hottest battles of all times, or join the Allies and face the Desert Fox!